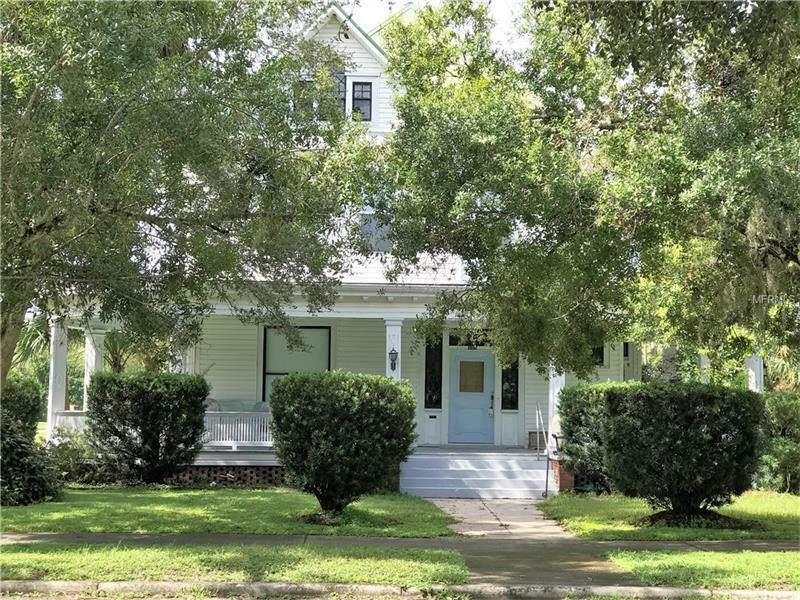 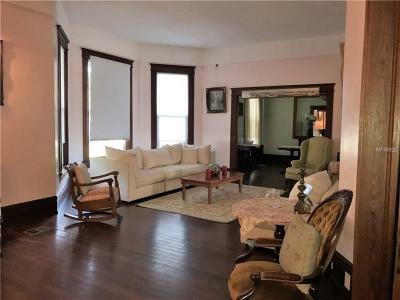 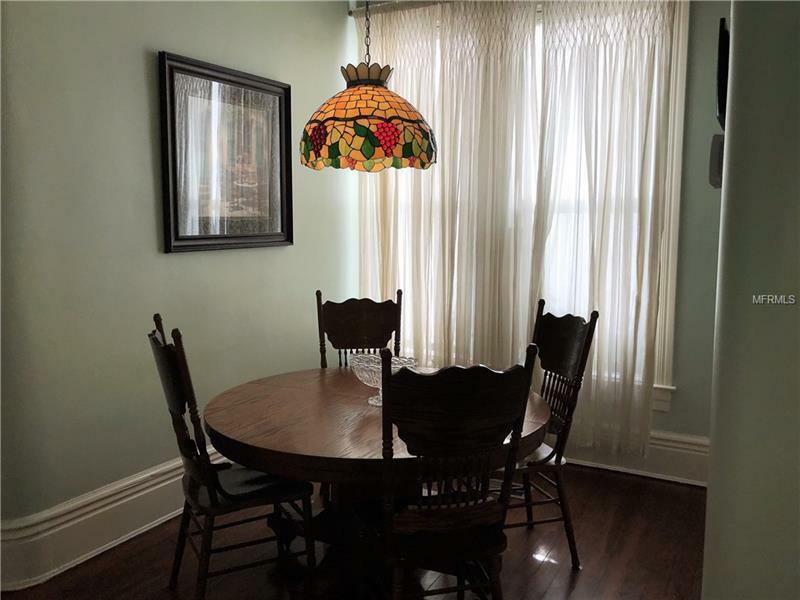 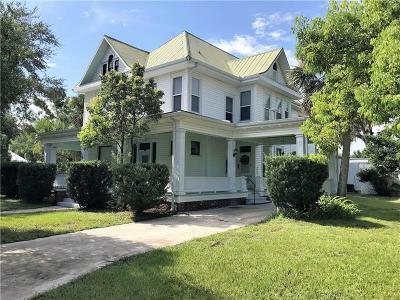 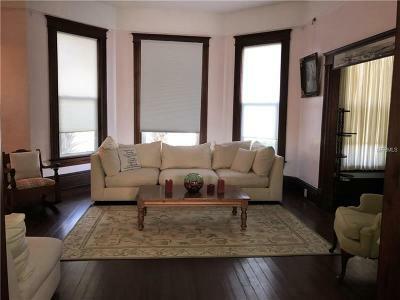 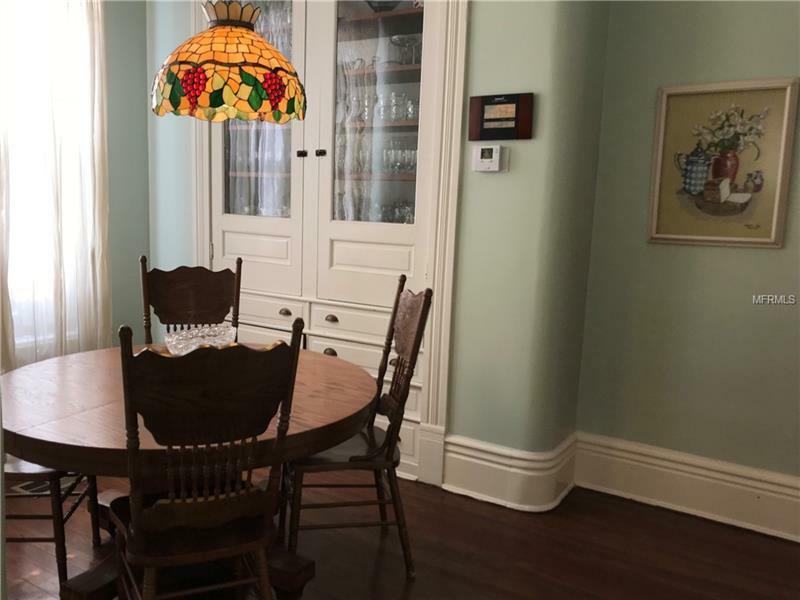 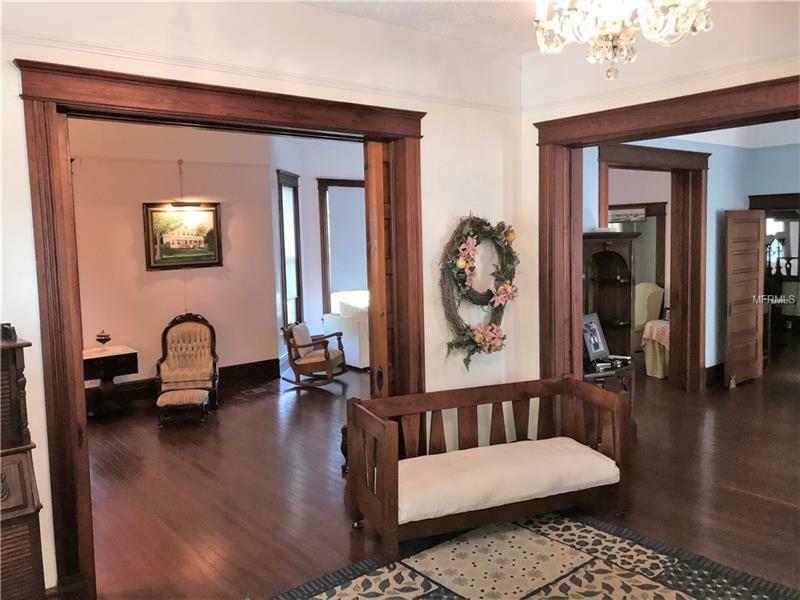 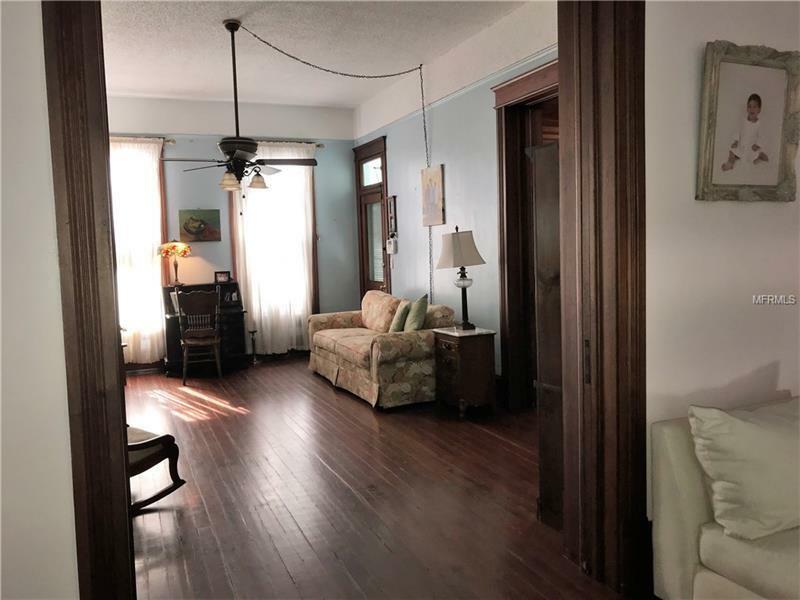 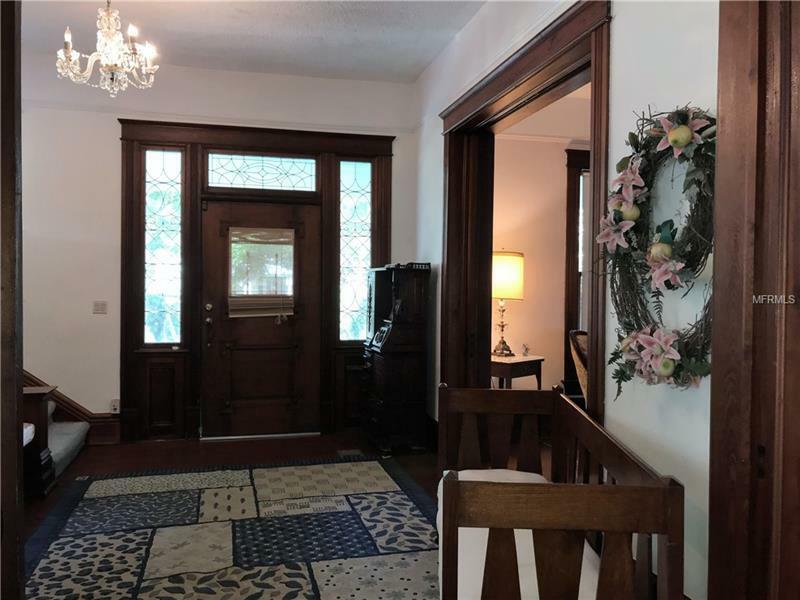 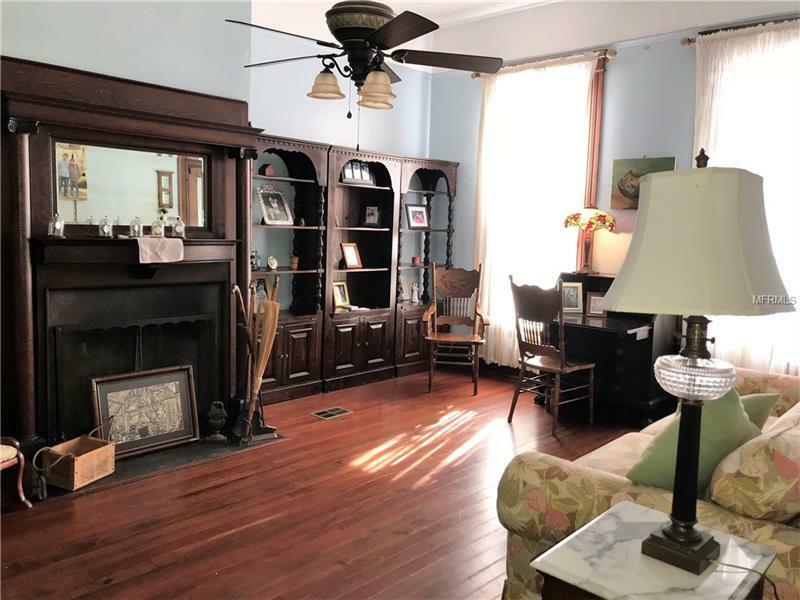 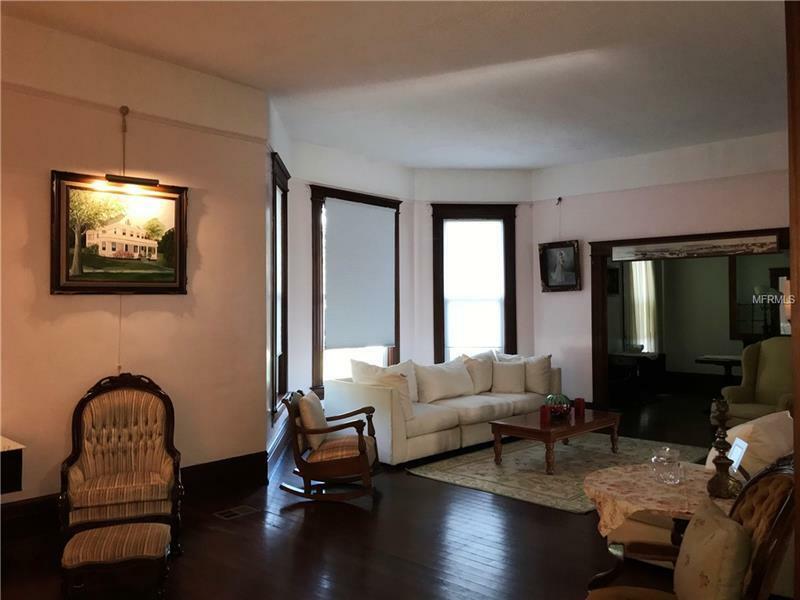 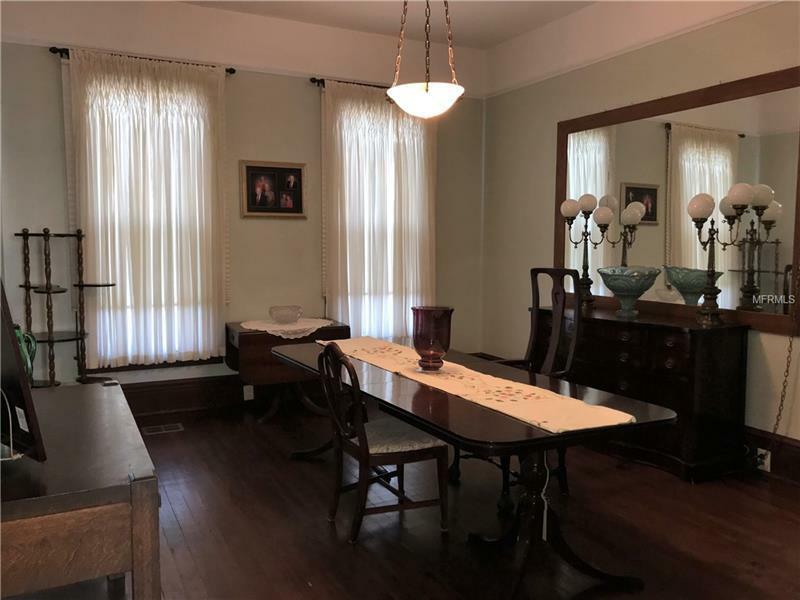 Gorgeous Post Victorian 1917 home with 7580 sq. 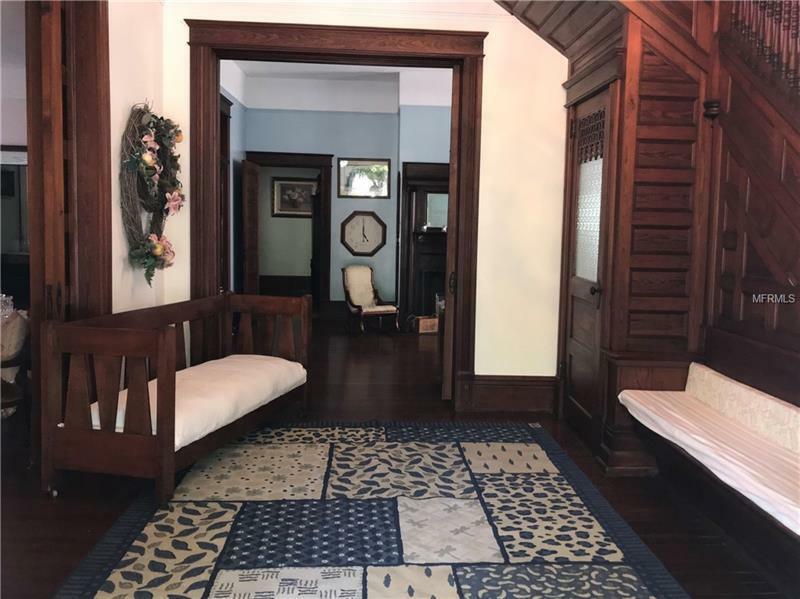 ft. of Southern Charm. 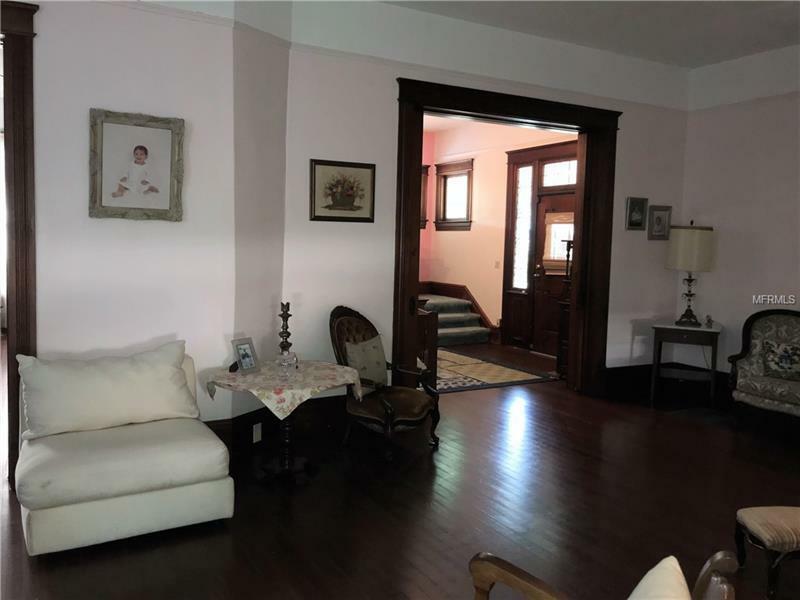 The actual year built is believed to be 1906, however, property appraiser has 1917. 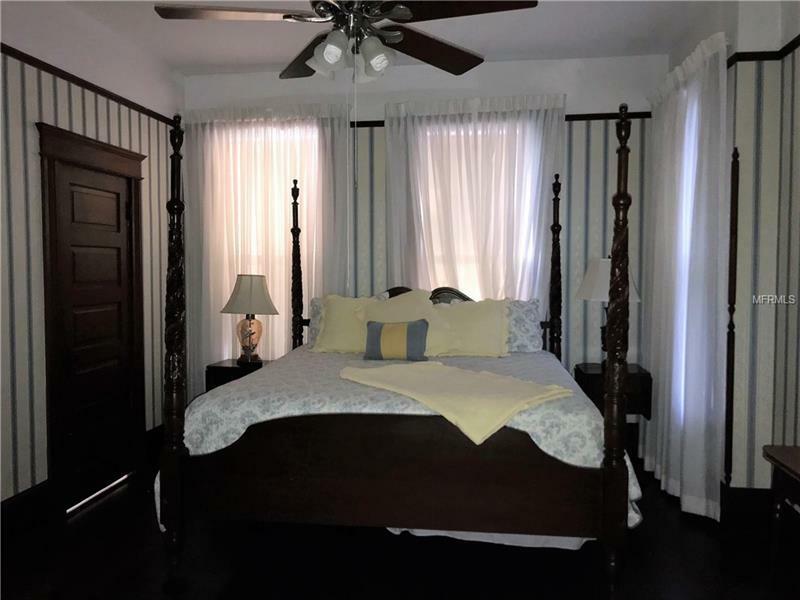 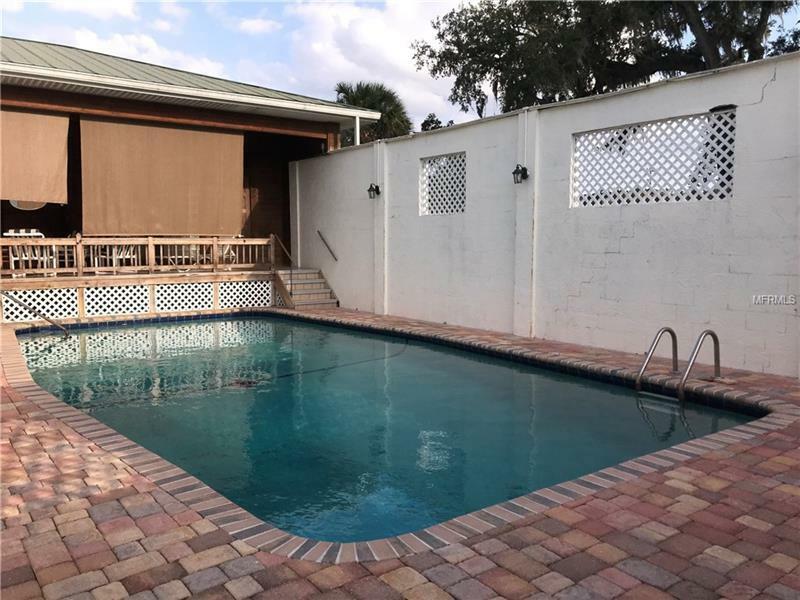 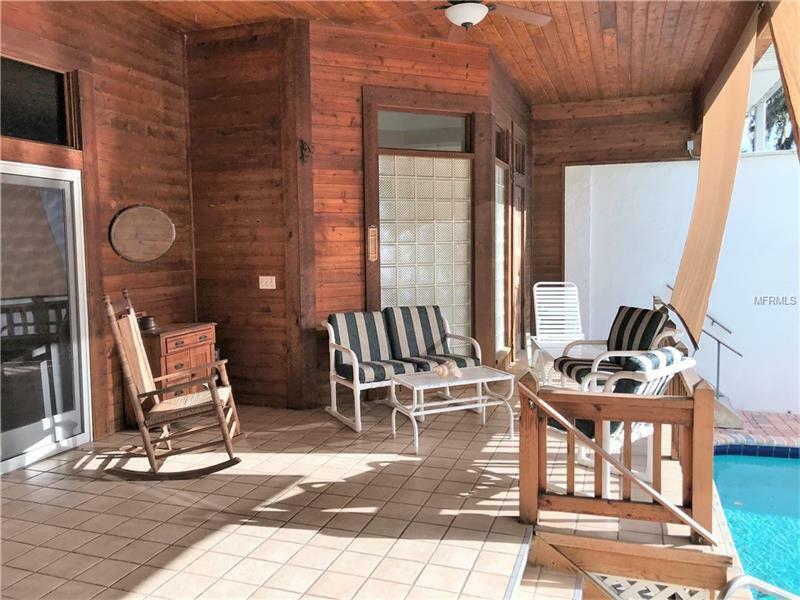 This home is one of the few w/ twelve ft. ceilings upstairs & downstairs, a basement, attic, pool and has been continuously updated & well maintained. 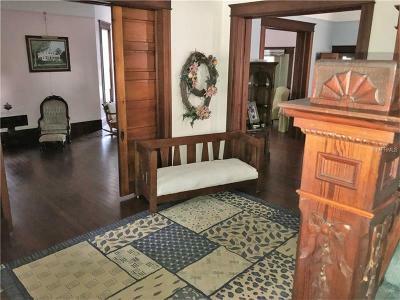 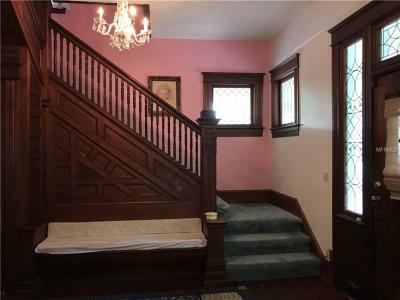 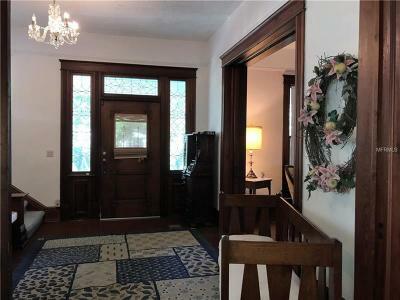 It has the original hard wood floors upstairs and downstairs w/ornate wood carvings throughout. 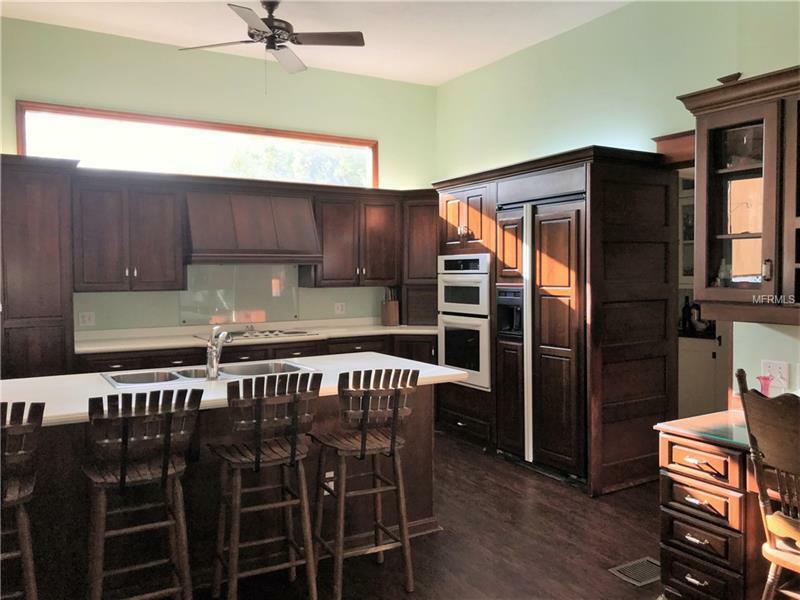 Enter into the large foyer of this magnificent home and be in awe of the large rooms and open floor plan. 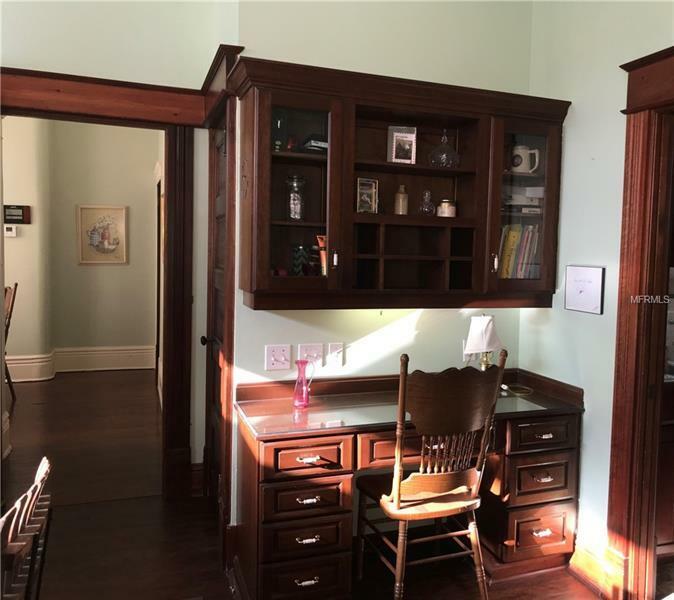 Downstairs rooms have 10â solid wood pocket doors for privacy when needed. 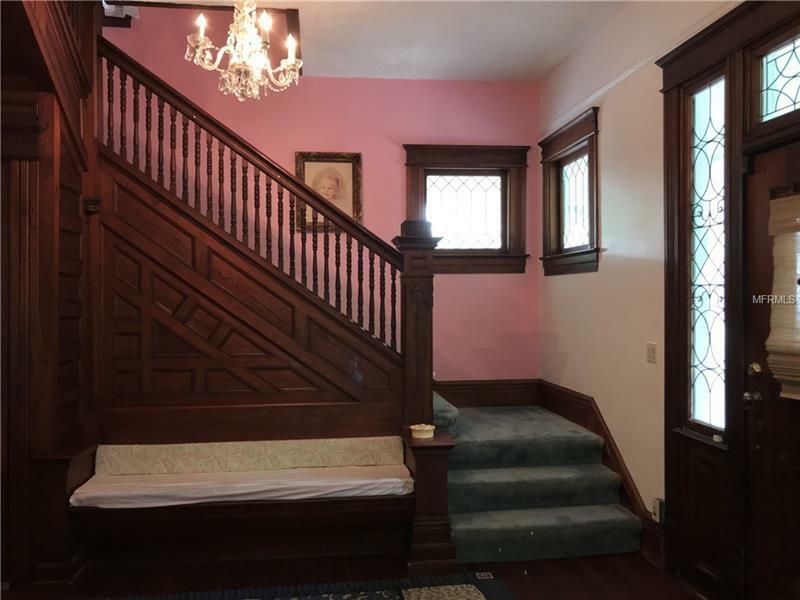 Foyer has a large staircase featuring 2 landings as well as a 2nd narrow staircase, once used by housekeepers, w/access from the kitchen to the upstairs living area. 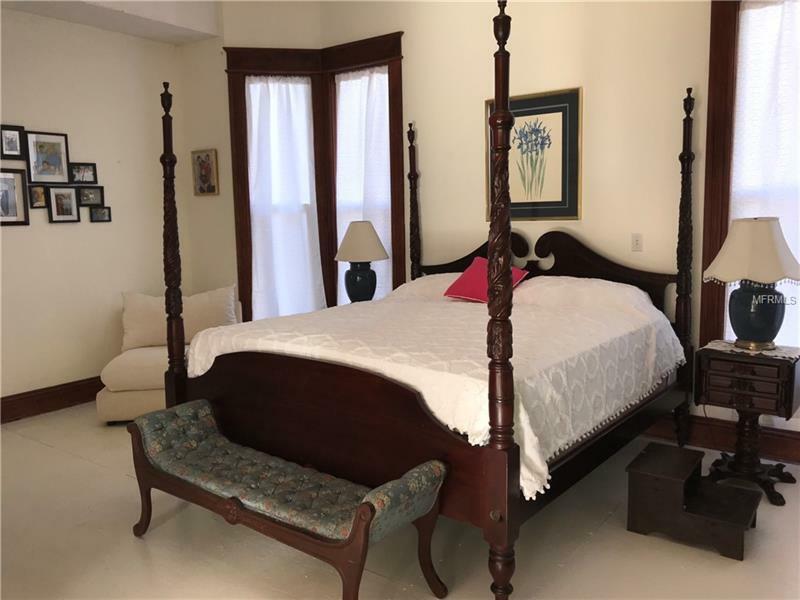 The huge master suite is located on the first floor & opens onto a covered lanai overlooking the sparkling pool. 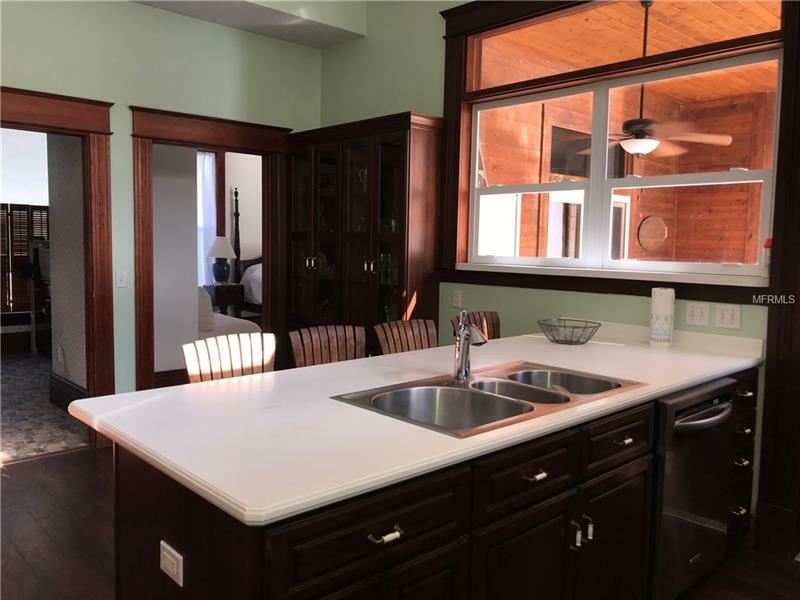 Large master bath & dressing room has an open handicap accessible shower and 2 big walk-in closets. 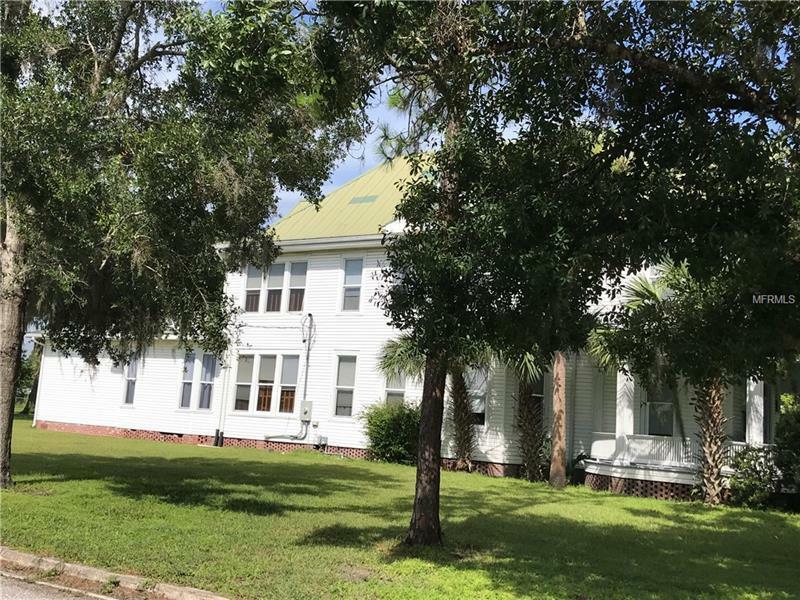 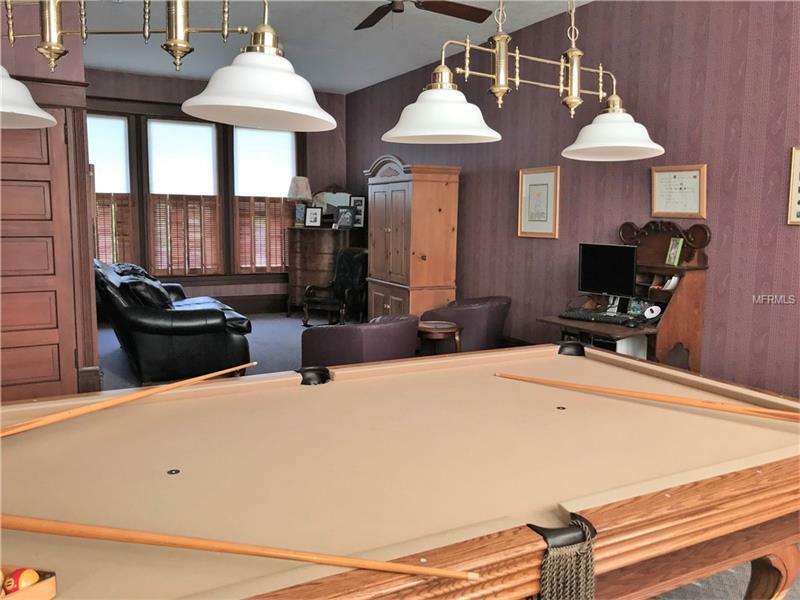 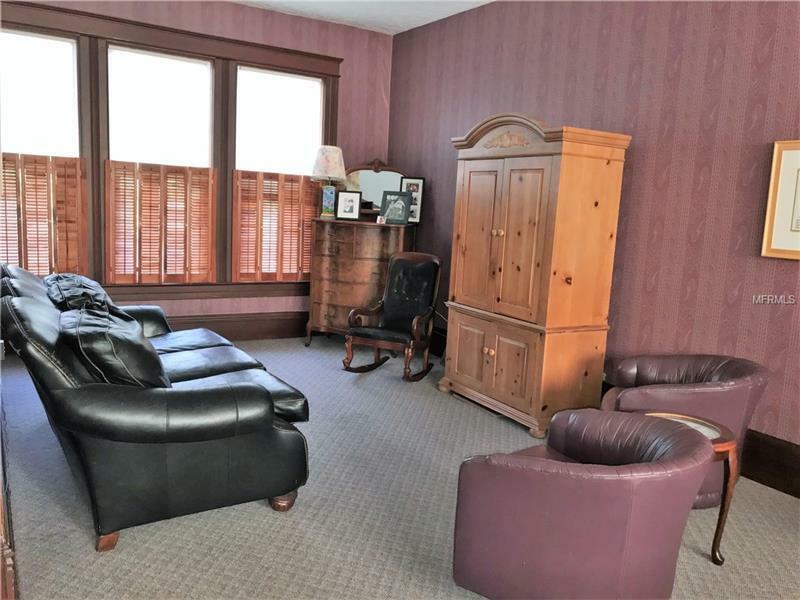 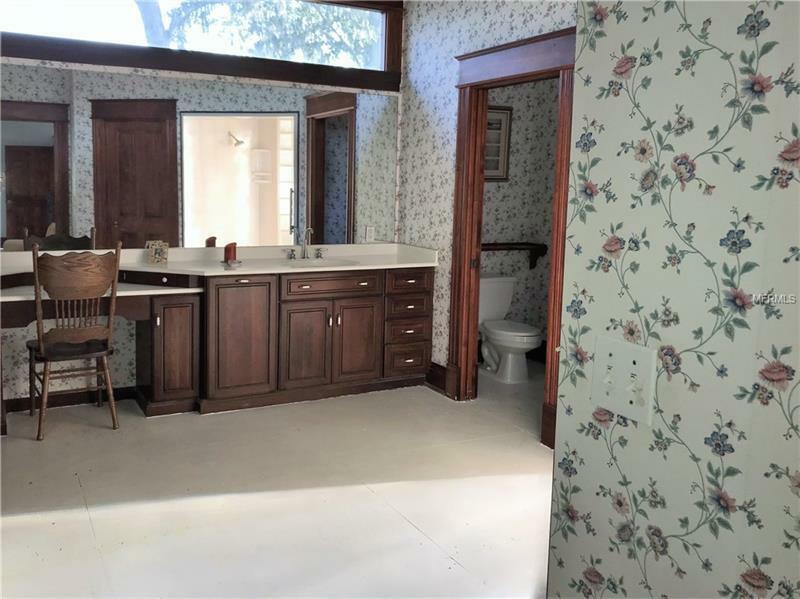 Three bedrooms & three bathrooms upstairs along with a game room/library that extends the width of the house and could easily be converted to another bedroom. 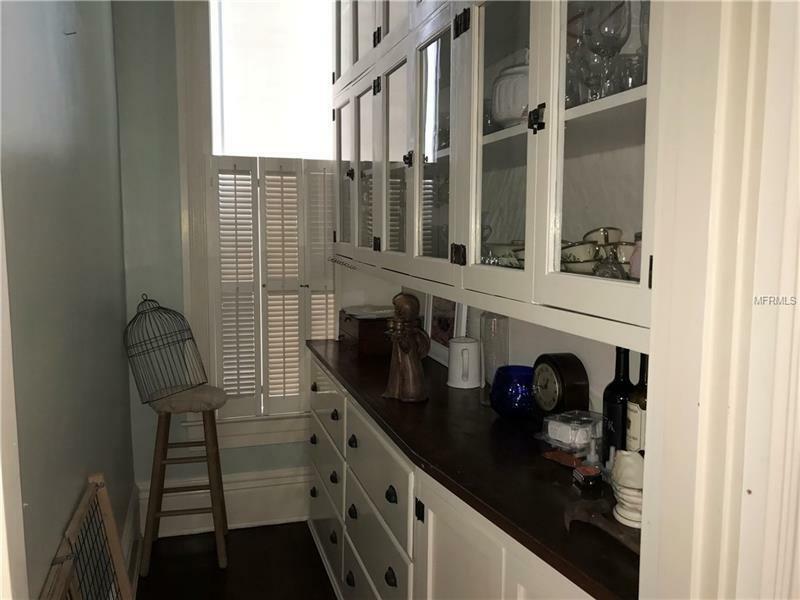 The homeâs large kitchen has beautiful cherry wood cabinets, built-in desk and china cabinet along w/a separate butlerâs pantry. 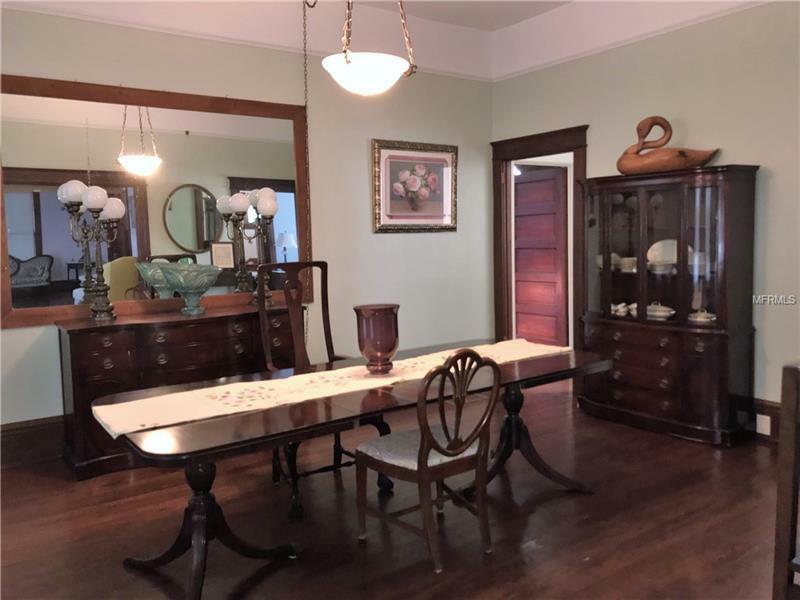 Large formal dining room is ideal for entertaining. 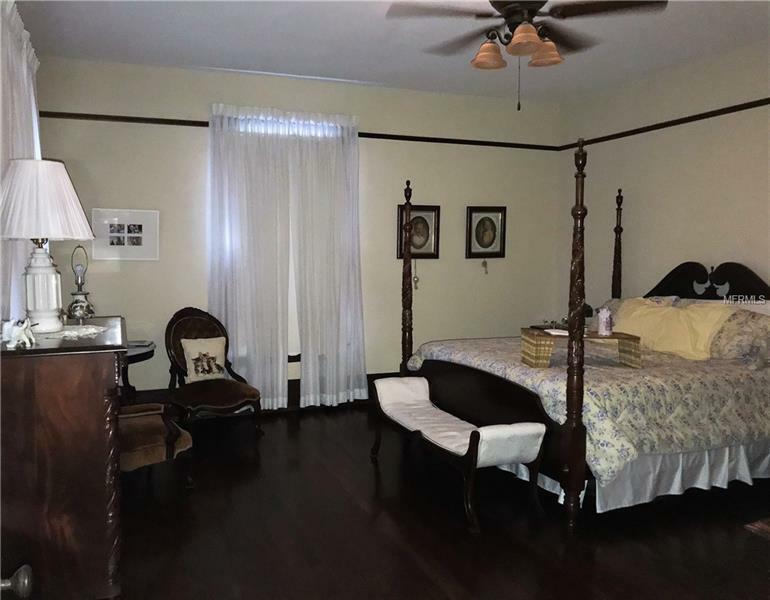 Perfect for family home or Bed & Breakfast. 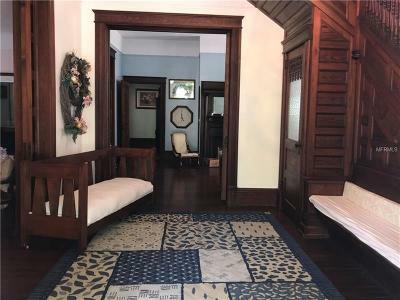 This home is a Historic Treasure.